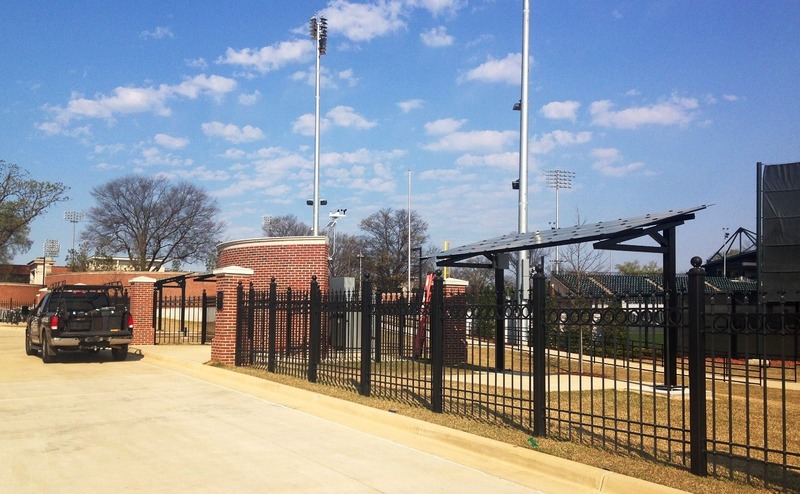 University of Alabama Athletics and the College of Engineering celebrated a partnership with a bright future last week as new solar panels at the Sewell-Thomas baseball stadium went online. 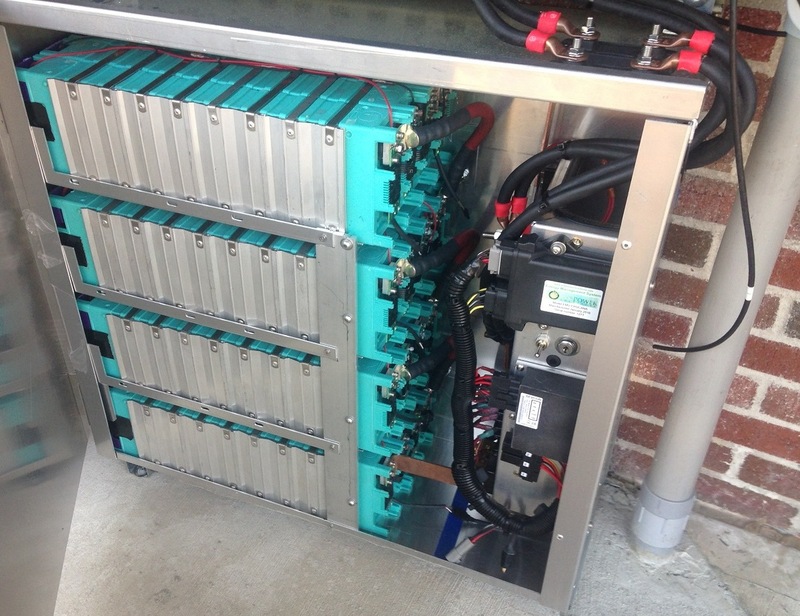 The solar panels, situated behind the outfield, will provide power to the stadium while engineering students will collect and study data from the panels. 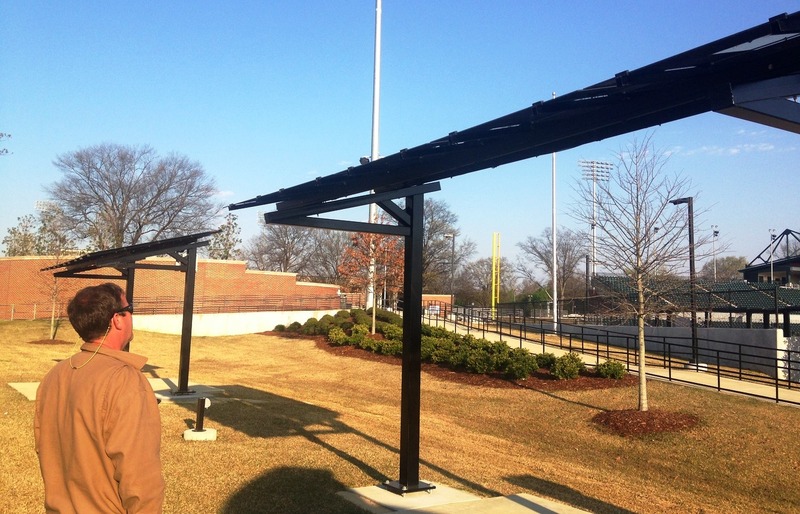 While the solar panels are new to the university, former Athletic Director Bill Battle and College of Engineering Dean Charles Karr have collaborated before. Among the project’s supporters were the Alabama Power Foundation and First Solar, a solar panel manufacturing company that donated the 80 solar panels creating four 20-panel, 2.2-kilowatt canopies. 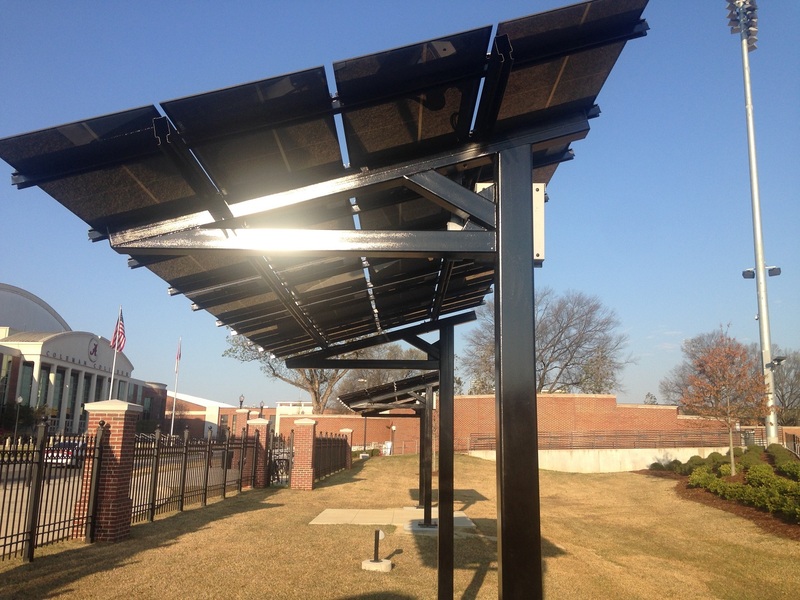 A weather station and temperature monitors placed below each solar panel canopy will allow engineering students to study and collect data from the panels. 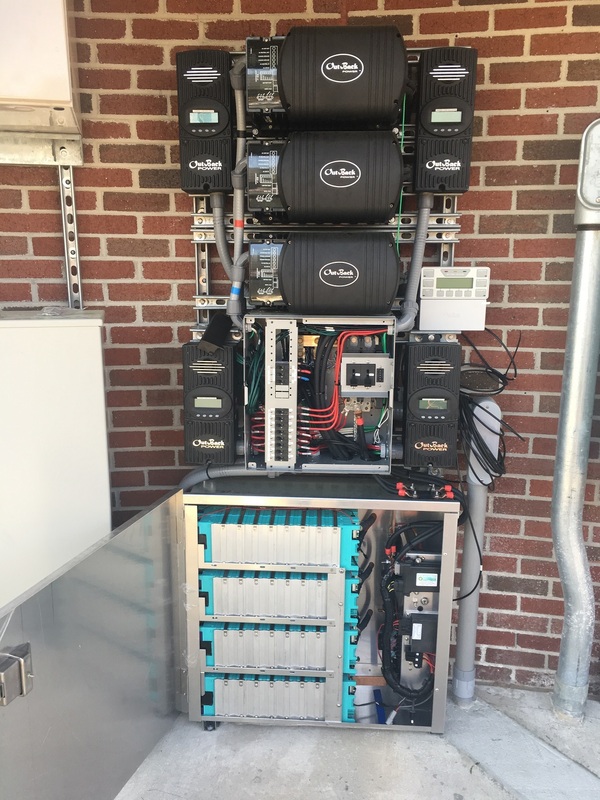 With this data, students studying solar technologies will have the opportunity to see in real time how solar photovoltaic technology works with the integration of lithium-ion battery technology. The university is already looking at ways to incorporate this technology and partnership into community outreach in the form of events with schools and community organizations. The solar project is one of several green and sustainable projects at the stadium since it was renovated in 2015. 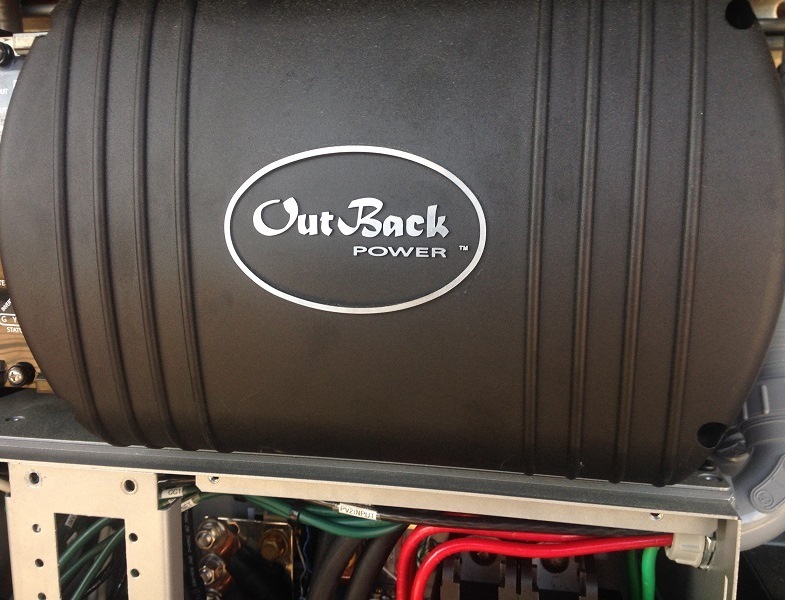 Additional green initiatives include LED lighting, electric vehicle chargers, recycled building materials and high-efficiency HVAC equipment. Republished with permission of Alabama NewsCenter.